Cinemoves is one of the largest and most respected suppliers of telescopic cranes in the world. Cinemoves is made up of professionals that have many years of experience in every field of camera movement. 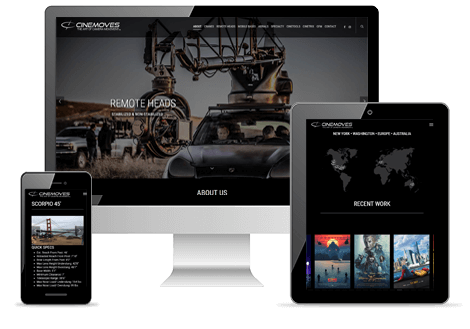 Webaholics designed Cinemoves’ new site to make it an easy and enjoyable UI experience for its customers to find the equipment they need in order to make the next big blockbuster film.